Landscape 10 cross stitch pattern... 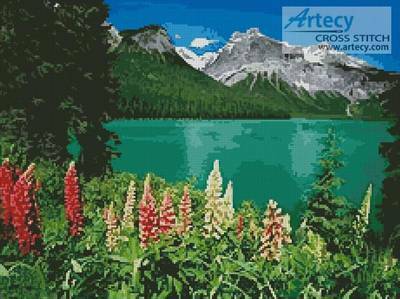 This counted cross stitch pattern of a Canadian landscape with beautiful flowers in the foreground and a green lake and mountains in the background was created from a photograph. Only full cross stitches are used in this pattern.